The Bermuda Sanshou Association [BSA] will be hosting a “Wines of Argentina” winetasting event on Saturday [Aug 18] from 7.00pm to 9.00pm at Newstead Pool Bar. 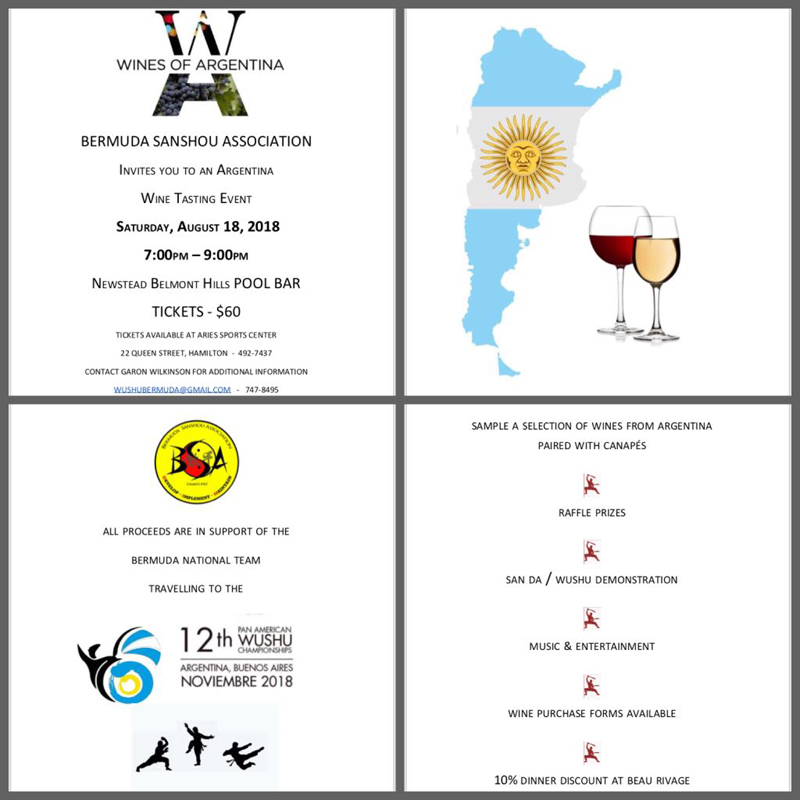 A spokesperson said, “Bermuda Sanshou Association [BSA], registered charity #767, will be hosting a “Wines of Argentina” winetasting event this coming Saturday, 18th August from 7-9pm at Newstead Pool Bar. “The event will feature a selection of Argentine wines matched with canapes and will also include a san da demonstration, latin dance performance, raffle draw and silent auction. Proceeds from the event will help support the Bermuda team competing in the 12th Pan American Wushu Championships in Buenos Aires, Argentina in November.